Man calls law enforcement to report something suspicious in Fellsmere, Florida. FELLSMERE – Last Friday, deputies were dispatched to a home at approximately 12:30 p.m. in Fellsmere in reference to a man who said he saw Mexican subjects running around and stealing his golf cart, according to the Indian River County Sheriff’s Office. As deputies arrived, they made contact with 35-year-old Jason Michael Roach and his neighbor. The neighbor said he also called in the “suspicious incident” after Roach told him there were several Mexican male subjects “running all over,” according to the report. “I made contact with Roach. His behavior was very erratic, and he could not maintain his concentration. He advised that there were people in his yard and that the Mexican males stole his golf cart,” the deputy said. However, the deputy spotted the golf cart sitting in front of the residence. The neighbor said he didn’t witness anyone running around the yard but was only told about it by Roach. “I asked Roach if he had been using any type of drugs. He stated that he smoked crack cocaine earlier that morning,” the deputy said. Due to Roach’s behavior, the deputy conducted a search of his person and found an object identified as a crack pipe in his left front pocket. 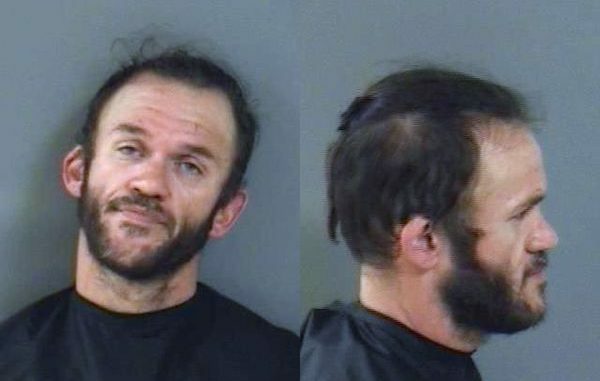 Roach, who said he worked as an electrician, was arrested on a charge of possession of drug paraphernalia and was transported to the Indian River County Jail. Roach was released after posting bond.